Lumbago is a fun word to say (it reminds me of a Latin dance), but you don’t want Lumbago, for that is the British word for Low Back Pain! 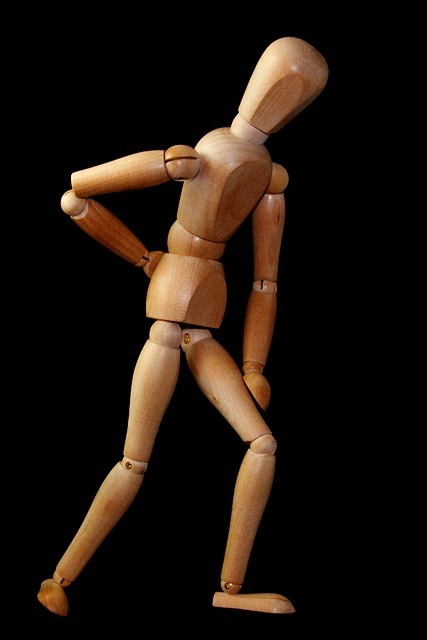 80% of all adults will experience back pain at some point in their lives. Only headaches are more prevalent. Most back pain is termed “aspecific”, meaning the source of the pain is not known. It could be a muscle strain, it could be joint-related or it could be a disc problem. Luckily, most cases of back pain will heal on its own after a couple of days. If the problem persists for more than two weeks, a consultation with a physician is warranted. Three things usually cause back pain. The first is an abrupt movement, like a quick turn. The second is bad posture, which leads to imbalances in muscles making them more susceptible to injury. The third main cause is overuse. Repetitive movements will cause joint breakdowns (just ask Tiger Woods). Regularly engage in a strength-training program to keep all of your muscles strong and your joints supported. Watch what you eat! Maintaining a healthy weight will take pressure off your back (and knees!). Practice sitting and walking with good posture. If you have to lift something, use proper lifting techniques.